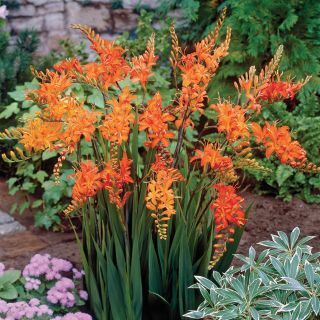 This outstanding flower in vibrant, hot colours is part of the iris family. 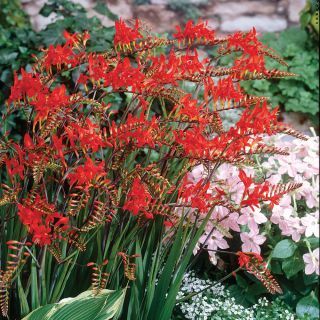 Crocosmia is versatile, easy to grow and adds interesting texture and shades to any garden. The tall, attractive blossoms are incorporated into showy grassy foliage while dangling angelically from a long sturdy stem. 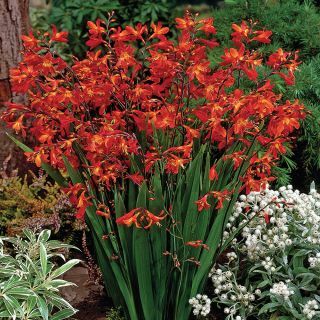 Stems are very hardy which makes Crocosmia a long lasting cutflower. Plant them in any full sun location.